We are excited to announce the release of Instant Protection PLUS 3.4.0.0! 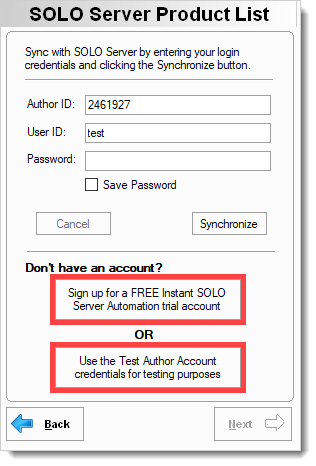 To quickly evaluate the technology through included tutorials, a new button is available to instantly connect to our pre-configured SOLO Server Automation test account. It is now easier to create your company's own SOLO Server Automation account when you are ready to protect your own software. You may notice several changes to the appearance of the Instant Protection PLUS 3 wizard. We have modified various wizard controls to be more consistent and polish their look. Some text in the wizard has been fine-tuned to better explain functionality. For users on high DPI machines, we have improved support for these settings, allowing the Instant Protection PLUS 3 wizard to better scale with the DPI. With the European General Data Protection Regulation (GDPR) regulations now in effect, we have added a "Never Remind Me" button to the registration window shown in a protected application. When the user selects this option, the registration dialog will no longer be shown at application startup even if the user has not registered their information. While this feature may not be an explicit requirement of GDPR, it is a feature we have wanted to include for some time. For a complete list of changes, view the Instant Protection PLUS 3 release notes.